On Tuesday, February 5th, Linden Lab issued the latest release for Sansar: The Places You’ll Go (aka R29). This article is designed to provide an illustrative summary of the release, but do note the lack of an VR headset and controller on my part means that any features described in detail here are looked at from the Desktop Mode. For additional details on the release, please refer to the R29 release notes. With R29, the Remember Me account credentials option has been revised. When checked, your current account credentials are automatically saved so that if you close the client via the top-right X, the next time you launch the client, you will be automatically logged-in to your Home Space or to an experience directly, bypassing the client log-in screen. To display the client log-in screen with Remember Me enabled, you must log out via the More Options > log out function. Uncheck Remember Me if you use more than one account to access Sansar, and wish to avoid having your last-used log-in credentials automatically re-applied to log you in to Sansar. Due to bug introduced in a previous avatar upgrade, a custom animation may have overridden a non-emote animation. So for this release, users must re-assign custom animations to their desired emotes to see the desired results (one time update only). You can now generate your own teleport portals to other experiences using the “/portal” command and a valid experience URL. Hovering the mouse over the portal will display the owner’s name. Clicking on it will ask whether or not you wish to teleport to the selected experience. 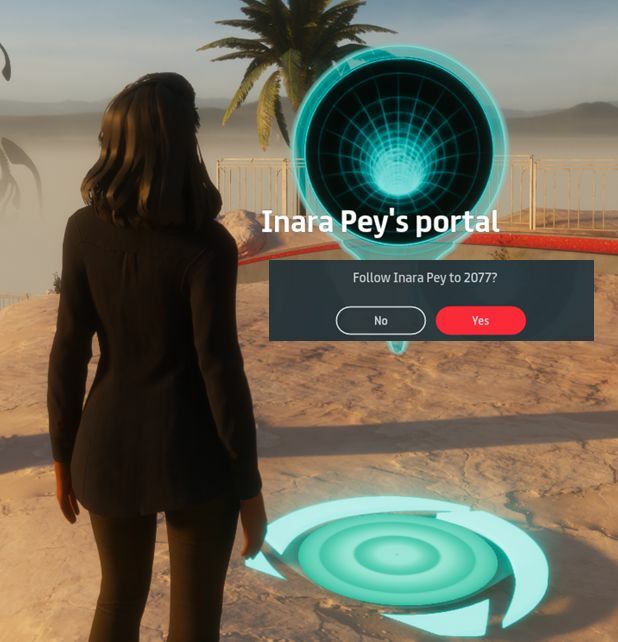 R29 introduces a new teleport portal capability that can be used when exploring / showing Sansar with / to friends. Simply type “/portal” (minus the quotes) followed by an experience URL, and a short-lived portal will appear in front of you, and will remain in place until it times-out after about 2 minutes. During that time, anyone touching the portal will be asked if they wish to teleport to the selected experience. If they select Yes, they will be teleported. Simples. You can only have one active teleport portal at a time. Calling another will immediately delete the one currently visible. Teleporting between experiences is still via the experience load screen (as with the Atlas and static portals). Remember, you can obtain the URL for an experience via the in-client Atlas (GO > Find Places to Go (Atlas)), by clicking the Copy URL button in the pop-up for the desired experience. The in-client Atlas search now has an auto-select function that will attempt to list experiences based on what you’re typing in. Note that this select experiences on various criteria (e.g. experience and creator name and more), so depending on the combination of characters used, you might get some unexpected results. An updated VR IK system: hand movements should not lag so much against actual hand movements. A new height calibration UI: this includes options to calibrate your height automatically, manually input your height, and remember your height (pull in the last available setting). Shop via VR: VR users can now access the Sansar store and shop. Script performance in events improved. Simple Scripts have been moved to Scene Script Libraries. New scripts added to the script libraries. Added a Store Listing script to users’ inventory. Haptic Pulse API – lets a script fire a haptic vibration, so that a controller holding a gun, for example, would vibrate once you pulled the trigger. Sit Event API – notifies other scripts when an avatar sits or stands. Meaning: if you wanted to make a whoopee cushion noise each time a person sits in a specific chair, you absolutely could. Media Action API – Allows media actions to be performed on media surfaces. More specifically, it enables interaction with Twitch’s Mature Stream “Start Watching” button. Please check the scripting API documentation for full information on scripting updates. A new hidden surface algorithm should offer much improved performance when saving an avatar after making appearance changes in the Character Editor. The new functionality for Remember Me, while handy if you are a sole user of Sansar, feels clunky if you use more than one account with the platform. If you have it enabled, you must remember to perform a “hard” log-out via More Options in order to get back to the client’s log-in screen. 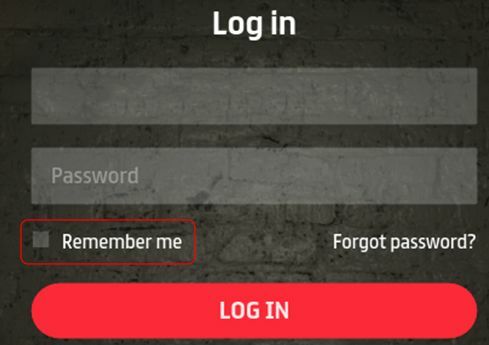 In this respect, it does question why not simply have Remember Me set to record the last-used credentials in the log-in / password fields? Sure, this requires an extra click on the log-in button to access Sansar (and so is perhaps less “seamless”). But conversely, it is both how most clients tend to work and potentially a lot more convenient for those who switch between accounts (although you now have to re-enter your account password).